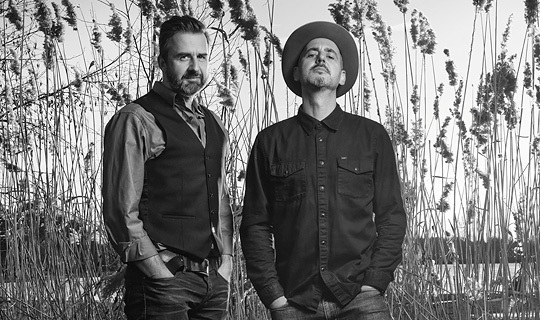 Out of their love for deep roots music Smokestack Lightning frontman Bernd Batke and the Nuremberg producer Peter Hoppe founded Slackwax in 2005. The outcome are moody and atmospheric tracks with a unique atmosphere. Slackwax music is create out of melting pot with the ingredients of jazz, blues, soul, country together with contemporary beats and modern production technique. The track „Nightout“ can be found on countless compilations and on the debut EP „Midnight“. Beside that their „Spookie“ Track was successfully used in a Mini Cooper TV ad and they contributed music to various german filmprojects like Hilde, Desert Flower/Wüsenblume or Jimi & Lulu. The Slackwax debut album NIGHT OUT was finally released in July 2012.